With us, no long discourses on winemaking techniques, no scholarly explanations about the art of tasting, and no long endless tours through vats and cellars. Our priority is conviviality! First you will relish tasting the wine, then taste once more… afterwards, enjoy activities that will introduce you to the trades of the vine and wine: the sommelier, the cellar master and winemaker. In the heart of Bordeaux, the region of Côtes de Bourg deserves to be explored. Clos Marcamps is situated among the vineyards in the heart of a hilly landscape. 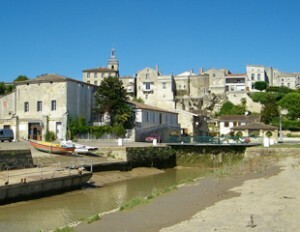 Medieval villages such as Bourg en Gironde or Saint-Gervais surround it. 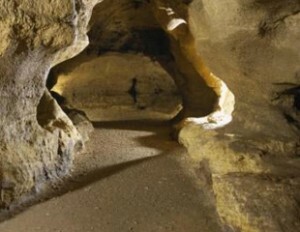 Prignac-et-Marcamps itself is rich by the famous decorated prehistoric cave of Pair-Non-Pair. 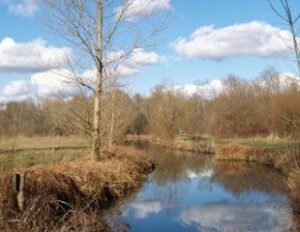 Still in Prignac-et-Marcamps, the natural site of Moron of a 92-hectare surface is an area providing a habitat for many animal and plant species. This is a site listed as Sensitive Natural Area for which the protection of its natural heritage is essential. 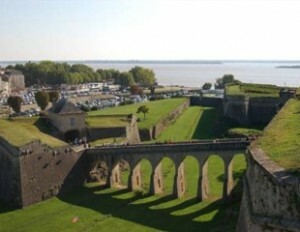 Quarter of an hour away from Clos Marcamps, the impressive Citadel of Blaye erects itself. Imposing and magnificent, today it is listed in the UNESCO World Heritage, within the Vauban network. Emblematic site in the Southwest, the Arcachon Bay being 80 km away from Clos Marcamps, is famous for its landscape favourable to family walks along the Atlantic, its numerous lakes, its beaches, the Pilat dune, Arcachon… Being the mecca for sea tourism in the Gironde, the Arcachon Bay has known how to preserve its natural heritage intact, for being part of the Natural Regional Park of the Landes de Gascogne. Only 25 km away from Clos Marcamps, the vineyards are over. 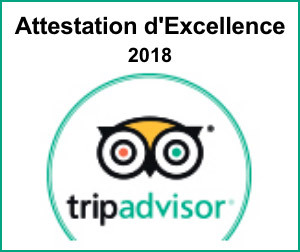 The city of Bordeaux, UNESCO World heritage is an essential detour: square of the Quinconces, ornamental pond, market of the Capucins, square of the Comedie, famous street Sainte-Catherine, quietness of the Intendance walk. Only half an hour away from Clos Marcamps you find the key city of Saint-Emilion and its great-classified wines.